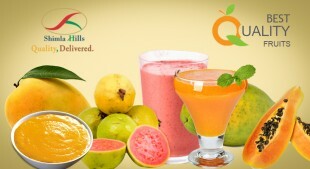 Pulp & Puree | Shimlahills Offerings Pvt. 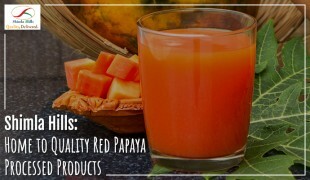 Ltd.
Utterly delicious in taste and nutritious health-wise, fruit pulp & puree have a huge demand in global markets. The food & beverages industry is witnessing a huge boost from these two processed forms of fruits. 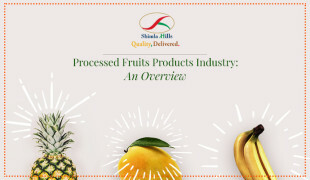 With ‘the fruit basket of the world’ as an epigraph for India and the recognition of food processing as a priority sector in the new manufacturing policy in 2011, a large number of food and fruit processing players have forayed in the industry. 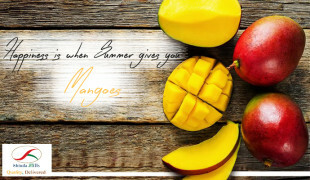 In the middle of hot winds and boiling heat of summer, the King of Fruits, Mango is no less than a blessing to the mankind. The smooth greenish-yellow texture on the outside and the mesmerizing juicy pulp inside with numerous soft fibrils hold the power to beat the heat.